We offer chimney cleaning services in Gauteng. For proffesional service get in touch. Call us today to request your chimney cleaning service in johannesburg or Pretoria. Call now on 081 390 3814 or email us at sales@chimneycleaning.co.za. For pizza ovens or for 3 or more chimneys please request a custom quotation. We can clean open fireplaces, closed fireplaces, pizza ovens and anthracite heaters. We are based in Johannesburg but we service the whole of Gauteng. Areas we service include: Johannesburg, Randburg, Sandton, Roodepoort, Midrand, Centurion and Pretoria. Burning quality firewood is very important to prevent large amounts of creosote build up. The firewood should be a dry hardwood, such as Blue Gum, Sekelbos etc.. We have partnered with Joburg Firewood to provide firewood delivery with your chimney sweep. All across Johannesburg and Pretoria, majority of homeowners depend on the heat from fireplaces to keep their family warm during the winter season. As such, it is very important to keep the fireplace working optimally by ensuring you have a clean chimney. Regrettably, if you do not have your chimney cleaned it can lead to many major issues. Majority of these issues can be avoided by simply scheduling a periodic chimney cleaning with a professional. By having your chimney cleaned, you give it adequate air combustion, thereby resulting to clean burning fire. The main purpose of a chimney is to allow smoke and carbon monoxide to exit your home. This will allow you to delight in the benefits of a fire with neither of the risks. 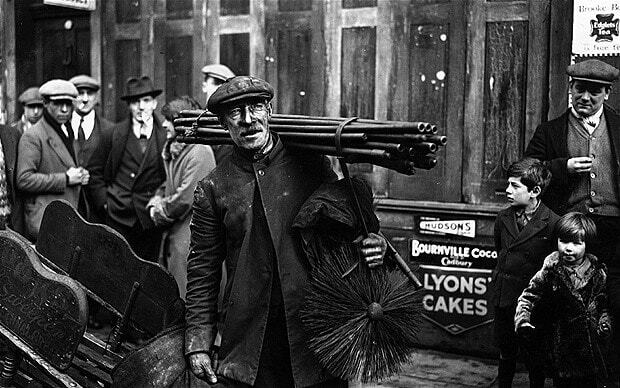 While many chimney sweeps recommend that you have your chimney cleaned at least once in a year, sometimes it may need more than that. Too much smoke filling the room once the fire is lit. Bad odors or a rush of cold air emitting from your chimney when you are not using your fireplace or stove. Your fire not burning brightly as usual or the fire starting very slowly. If your chimney is filled with nests, leaves, small animals and other debris. If you have not had your chimney cleaned in a while and you want to use the fireplace. Most household chimneys are very prone to developing blockages. When a chimney is clogged, it is not able to effectively remove the dangerous fire byproducts out of the home. This results in a smoky fire. If the blockage is left unaddressed, it can lead to more dangerous issues such as toxic fumes, fire and carbon-monoxide poisoning. Too much creosote build-up. The thicker the build-up it becomes, the more your draft is impeded. Falling debris like leaves and twigs if the flue is not covered using the chimney cap. When the chimney height is not sufficient enough causing gradual draft of air. When it comes to the safety and health of your chimney, you should only trust a certified professional. Taking this kind of job on without the proper tools and education will most likely result in a chimney that is not very clean and much more frustration. And even if you had the right equipment, you could be missing some important warning signs. Besides sweeping a chimney, a professional chimney sweep service will help identify some potential problems like cracks around the chimney. Since they have the proper tools, ash dust and fine creosote won’t find way into every nook and cranny of your house. So don’t give up an entire day trying to figure out how to clean your chimney. Instead, let the best professionals in Johannesburg and Pretoria take care of your chimney to ensure it is thoroughly cleaned. Clearing a blocked chimney is a job best left for a professional. We have the necessary tools to reach and get rid of the debris clogging your chimney. We diagnose and treat common chimney problems both large and small. Our fully trained technicians have the experience to get your chimney back into proper working condition. Servicing Johannesburg and Pretoria, we are proud to be part of the community we serve and are here for you when you need us. We take pride in being masters of what we do and use state-of-the-art technology in order to get the job done right. You can therefore have complete confidence in us knowing that we will treat your chimney and home the way it deserves. Contact us today at sales@chimneycleaning.co.za or give us a call on 081 390 3814 to have your chimney cleaned or inspected. We will be more than happy to assist you. Thank you for the chimney cleaning the service was quick and affordable. Will recommend to anyone! The chimney was blocked before you guys came in now the smoke is flowing freely.